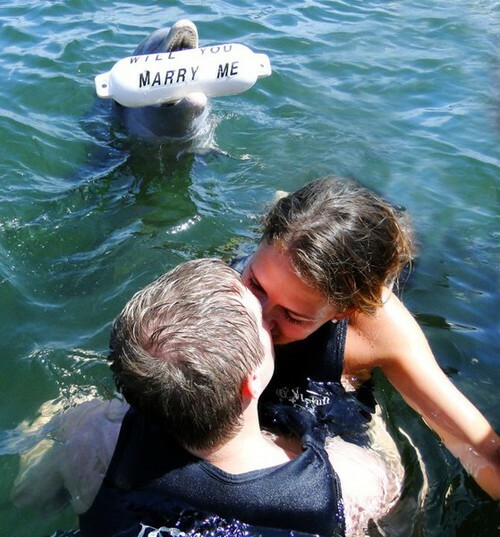 I am confused, is it the dolphin who is proposing, or the guy? But seriously… That proposal would have taken a lot of training. aww, best proposal, cutest marriage proposal, cutest proposal, dolphin, love, marriage proposal in the water, marriage proposal with dolphin, proposal, Will you marry me?